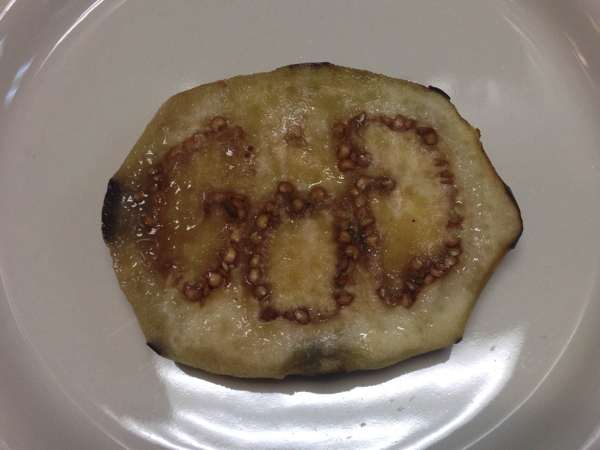 Line cook Jemarcus Brady, who works at Gino's restaurant in Baton Rouge, LA., was recently slicing through an eggplant, when he realized that the seeds spelled the word 'GOD'. Brady said that seeing that word in the eggplant was like God himself "showing me, hey, I'm real." 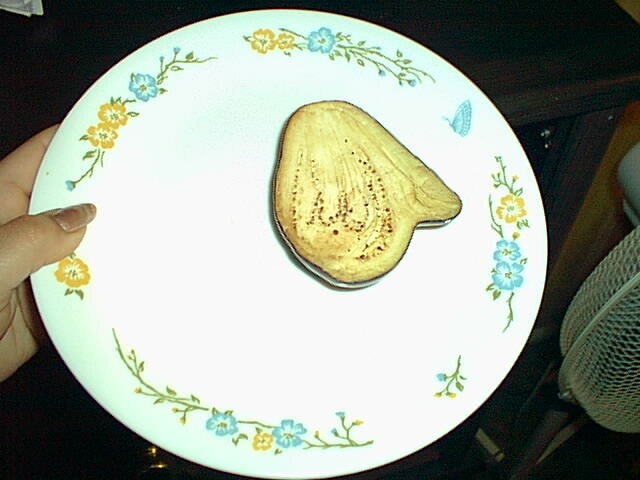 However, this isn't the first time the name of God has appeared in an eggplant. The phenomenon has a long history. 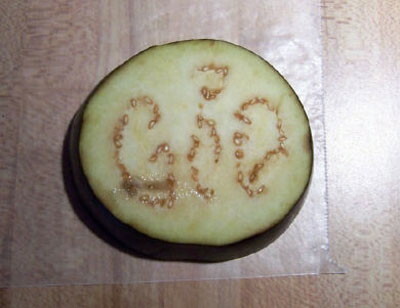 Back in 2007, Felicia Teske of Pennsylvania also found the word "GOD" in an eggplant. Before that, in 2003, a woman in Mendhasalis, India sliced into an eggplant and found that its seeds spelled "Allah" in Urdu script. And before that, in 1996, Ruksana Patel of northern England reported finding the word 'Allah' spelled in Arabic script in an eggplant. Why are there so many eggplants spelling the name of God? I assume its because the eggplant seeds naturally tend to group into columns that run down the length of the plant. And when you cut the plant, it's easy for these columns, in cross section, to resemble circular letters, such as G, O, or D. Or any circular, cursive script.